MilitaryAvenue participated in a DoD Roundtable discussion this morning with Commander (Dr) Danny Shiau, a Navy Preventive Health specialist and Dr Robert Morrow, a subject matter expert for the seasonal flu and H1N1 flu. The doctors provided some great information for military families concerning treatment and the flu vaccines available to the military community! One critical note for military and family members who suspect they have the flu: Before proceeding to the medical treatment facility (MTF) please call and ask for where to go, nurse triage, etc. To reduce the spread of the viruses to expecting mothers, small children, reduced immunity folks (cancer treatments) and others the facilities have established procedures to screen flu patients. Each facility is unique so be sure to call yours in advance! 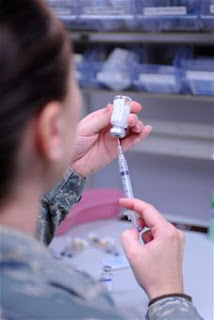 The doctors described the flu vaccines as mandatory for military members and important for our families. The vaccine for seasonal flu is available and the H1N1 is being delivered on a priority basis. The news has reported shortages but the doctors described it as a slow production due to the difficulties of making the vaccine versus a reduced production. There will be enough vaccine but delivery is delayed. Military priorities include the combat deployed forces, training/accession centers and medical personnel. The Department of Defense purchased 2.7 million vaccines (only shot is required per person) and Health Human Services is providing 1 million more. Military family members can get the vaccine at their local MTF when it is available. The shot is FREE everywhere and they encouraged military family members, retirees, etc not near an MTF to get their vaccines in the local community medical facilities. Oversees dependents are being cared for by their MTFs. The doctors encouraged everyone to use primary care prevention such as hand washing, covering the mouth when sneezing or coughing, not going to work or school sick, etc. They said the H1N1 is unique because it started in April and has continued to spread through the summer where the seasonal flu starts in October and reaches its height around March. H1N1 has been recorded in every country of the world. One last recommendation from the preventive health care doctors was to ASK QUESTIONS about treatment and the vaccine! It is a unique flu and the medical community is ready to help! I've written a couple of times about the power of a book! When hubs was deployed we got a few books through the "United Through Reading" program sponsored by the USO. Hubs read books to the boys from Iraq, recorded on a DVD, and mailed to us. The boys received a DVD & book to read along with Dad, the opportunity to hear Dad's voice and find the pleasure in a book. Just this week I ran across Military OneSource's Book Library and was once again transfixed with the power of a book. This evening the boys were a little crabby and as I started to cook dinner, it sounded like World War III was occurring in my TV room. So instead of yelling, getting frustrated, and general blood-pressure raising activities I pulled them up to the computer. I logged onto Military OneSource, clicked on their Book Library (or you can just click the link above) and then clicked on 'TumbleBook Library for Beginners'. Earlier in the day I read one of the online books to my preschooler, and this evening, as I cooked dinner, I let the computer read to them. I love that the books are animated and the words that are being read by the program are highlighted. So my new reader (1st grader) and preschooler can follow along. They asked to listen to 3 or 4 books and sat quietly listening for at least 30 minutes. (I can't even make them sit still that long to watch TV.) Ah blessed, blood-pressure lowering, relief... all in the form of a digital-book. Note: Military OneSource does require an account to use their vast amount of resources. All active-duty service members (Army, Marine Corps, Navy, and Air Force) and their families are eligible. National Guard and Reserve members and their families are also eligible. We post all types of articles on MilitaryAvenue each week. Deployment Information, Holiday Support, Veterans Day Discounts, Pentagon Happenings: all of this and more can be found on MilitaryAvenue. Atlanta, GA Area: Free Veterans Day Pizza - Heard of any other great Veterans Day Celebrations? Let us know! Can't that be said of all of us at one point or another in our lives... and who said it is a bad thing?! Last year at this time our family was in the midst of our first deployment. Thanksgiving wasn't giving me the usual warm and fuzzy vibes I get. Christmas was all but on the back burner. I just had other things to be thinking about... like my husband, & father of our three beautiful boys, off in a foreign land. I just ran across two great programs though that are perfect for the holidays. I wanted to be sure to share them with you. Operation Thanksgiving Eagle 2009 - Order a free book from AUSA for your military-brats. This book is a way to thank military children for the daily sacrifices they make. Supplies are limited so I can't make a guarantee as to how long this program will be around but I've heard it is a great book! Operation Homefront Holidays 2009 Adopt A Family Program. Find out how to help a deserving military family this holiday season. -or- Apply to be on the receiving end from a gracious gift giver. The Holidays are coming. Although I am quite disgusted with Target's aisle of Christmas decor; programs like these, however, are parts of the holidays that are perfect to start planning for. Have you heard of any great holiday programs to help you through life in the military? I'd love to hear about them! We post hundreds of articles to MilitaryAvenue every week. It can be hard to keep up with the latest news and happenings around the Military Community. Here are ten of the most popular articles on MilitaryAvenue for the past week; news that is important to our Military Families and their community! We are searching high and low for what businesses are taking the time to appreciate the military veteran this Veteran's Day. Not just your "Veterans Day deals" for the general public ... but the restaurant, the local merchant, the flower-shop, the home-improvement store, you name it, that wants to show their genuine appreciation for our veteran this Veterans Day 2009. Click on our list above and revisit as we get closer November 11. We want to hear from you, too. If you know of an area military-Veteran's Day celebration place it as an event at your installation or if you know of a merchant that is tipping their hat and digging into their bottom-line to honor our veterans send me an email with the details! 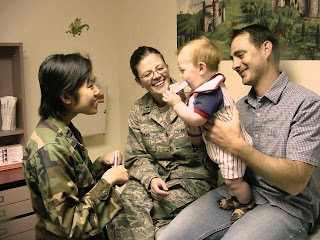 "Family Readiness Group (FRG) Events"
Get involved, find out what is out there for you! 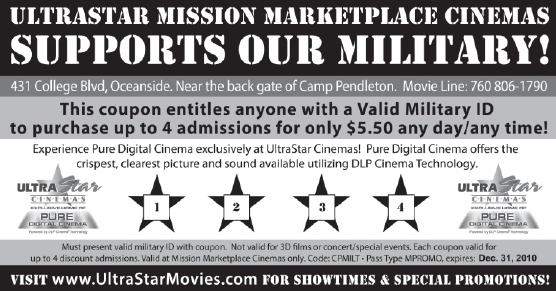 Have you seen what MilitaryAvenue has to offer? Parenting, Relief Effort, GI Bill information and community support: all of this and more can be found on MilitaryAvenue. I just read Mary Alice's Blog titled Thankful Thursday. Perfect! There is so much out there, around me, in me and in my friends and loved ones for which I am thankful. I suppose every blog should be about this :) Thanks for the uplifting idea of just writing down life's reasons for making you thankful. Doctors and medical staff who have been there for me... all too often. a new car that still smells new even though there is a mud sheen to it because of our country life. Surely there are 10 gazillion more... but that was that fast flight out of my head. Thanks Mary Alice for getting me started. Hope you all are thankful on this Thursday! Birthdays are a Fantastic Excuse for a Party No Matter What the Age. Who does not like to celebrate? Sometimes we need an excuse for acting a bit out of the normal everyday responsible adult role. A party seems the sure ticket here. Enter at your own risk. Kick your heels up and let down some walls. Take off the uniform, put down the computer, leave the book on the table and turn off the stove. This is party time with the kids - your kids, the neighbor kids, your adult friends who are going to be laughing like kids. We are all kids! Dale and I have lived our lives looking forward to that next party. Loving the responsibilities that were given to us, that we strove to achieve. But we took the time to just LAUGH. Laugh with friends, laugh with our family and now we laugh at the memories... but we had to have them first! Gilligan's Island: Everyone came in costumes from the old TV show that ran forever in reruns. Zero was there, An ape arrived, of course Lovie and the Millionaire, Mary Anne and the movie star... the professor, the captain and Gilligan... but a cast of others, including one who dressed like the Minnow... the shipwrecked boat. Mash: Fatigues galore, horrible food... Spam was on the menu, Rock and Roll music (the Supremes, 4 Tops, etc...) Tents were the decor. Sounds dull... but was fun! Costume Party: My goodness imaginations ran wild! Dale and I came as the spies Boris and Doris. I put a black rinse in my hair we wore black trench coats with big belts, and shot everyone with water guns. Our grandson turned 4. He has cousins, and brothers and UNCLES. He has fun. 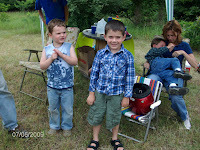 One thing can be said about my grandsons.... they don't sit. They don't walk... they wake up from a good night's sleep and are on the run. So, with two of them turning 4, it seems appropriate to have someway to celebrate this energy. First Four Year Old Party: A boxing day. 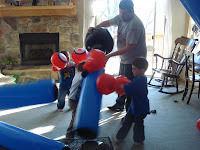 Yeah for online purchases, as it was easy to find the boxing equipment. Second Four Year Old Party: Redneck Races. We are blessed to have the access to land to run 4 wheelers. It was abandonment for street rules. Helmets were #1 requirement for all at all times, but giggles and time with an adult was also #1. I am thinking I need two more #1's to make up 4! Jessica set up the day with plans for one on one adult child time: the child leading a blindfolded adult through a blackberry patch: OUCH! 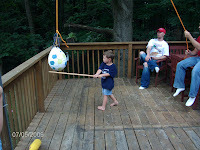 Water balloon tossing - OK, this got out of hand :) and a pinata. Need a party? Take an idea and just go with it... stretch it. See where it takes you. And know that laughter is the goal. Then share your experience with us... we're always looking for our next good time! Friendship. It is something I am whole-heartedly instilling in my two youngest boys. *E* is 7 and *C* is 4. At the worst of times they are at each others throats. Neither one can do right in each others eyes. I quickly want to pull my hair out. At the best of times they can play legos, army-men, star wars, you name it, for HOURS; side by side as only best of friends can do. It quite commonly comes out of my mouth (especially during those *worst of times*): "You two are FRIENDS. You always will be there for each other. You always will be brothers." Friendship and Brotherhood go hand-in-hand. It might stem from my own childhood. I have two younger brothers. I look to both of them very fondly and consider both of them two of my closest-buds. I can be open and honest with them. I can tell them my fears without fearing rejection. I can be as crabby as I want to be and still KNOW that they love me. (Yah, sometimes they just have to leave me alone.) I can share with them my deepest dreams and desires and know they will be happy for me. We were (and remain) military-brats. We moved together. We made new friends together. With each PCS we dreaded the change together. [I think I did more of the dreading then each of them... but at least they knew I was dreading ;)] We were there for each other. That friendship was instilled from the very start. Now I have to take a step back and look at my husband's relationship with his two siblings, one older, one younger. Those relationships, in fact, make me quite sad. Hubs has said to me that 'friendship' was not necessarily part of their relationship growing up; and as they have gotten older they have not gotten closer. All this time I took it for granted that siblings were friends. Because of this, I have taken a very close look at my own sons. I want them to have the friendship and relationship that comes with being siblings. I have been very pro-active at instilling this important aspect of being a family. 1. Talk it out! If there is a problem don't run away from it. Don't murmur under your breath and leave the room. Let the other one know why you are hurt. Why you are crabby. What you could have done differently. What they could have done differently. Let them help you if they can. 2. Make time for each other. We all need our alone time! Momma does, *E* does, *C* does, Dad does. But we also need our 'together' time. Take time to play together. 3. Not one person can always make the rules. *E*, 7 years old, would be quite content to boss *C* around all evening, as only an older sibling can. But part of growing up and being a good leader is letting others lead too. 4. Read together. It may seem simple and possibly not related. But how I love to snuggle with them at bed time on the bedroom floor. They each pick out a book and I (or Hubs) read both books. They both get what they want, and they both get to listen to other's choice book too. 5. If the mood gets too crabby inside, take a run outside. Break the tension, Moms and Dads. If they are fighting have them put on their shoes and take a quick run (one lap or two) around the house. They will appreciate the fresh air (even in December!) and by the time they get back inside they quite possibly have forgotten what they were fighting about to begin with. That rule was in place when I was a child. My only modification to my mom's rule is they have to come in the door together. Team mates, not racing each other. 6. Let each other lend a helping hand. If either of the boys do something to help the other it's a big deal. They get lots of praise from Mom. They feel good about themselves and feel good about being a friend. It's a short list... but just my initial thoughts. I'm not a parenting-expert... except that, yes, I am a parent. I do love my boys though and do want them to make the most of their childhood, and influence their way into adulthood. So the next time one child threatens the life of the other I will tell them to find some alone time, then bring them back together and remind them how good it feels to be a friend! From the newly expanded Homeowners Assistance Program to the Hawaii National Guard's aid to Samoa there are thousands of articles on MilitaryAvenue that interest, you, our users! Military families have been seriously impacted by the recent housing market changes due to government orders requiring them to relocate. Trying to sell their current home has been made extremely difficult and most sale prices are well below the purchase price. The Department of Defense and Congress have addressed the problem through the Expanded Homeowners Assistance Program which now includes two new categories of eligible military members. MilitaryAvenue participated in a DoDLive Bloggers Roundtable with Mr. Joseph Sikes, Director for Housing and Competitive Sourcing in the office of Deputy Under Secretary of Defense for Installations and Environment on Friday, October 12th. Mr Sikes very kindly took his time to respond to questions and provide information on the new program so we can help keep the military community informed. He commented that while many personnel such as policemen, firefighters, etc protect us only the military is required to relocate. The original HAP was designed to assist military families during BRAC (Base Realignment and Closure) situations with large numbers of military families selling their homes at the same time in one location closed by government action. The Expanded HAP includes two new groups: Wounded, Injured, Ill/Surviving Spouses and PCS Members. The program has been funded with $555 Milllion and has 4,000 current applications and the PCS portion is probably underfunded and will run out by December 2009. DoD is seeking additional funding to continue that portion of the program which has the largest share of applications. So what should you know about the program? As with any housing sale there are many complexities and the program has seen an increase in manning to help speed your application process and answer your question. Right now the application process time length is about 60-90 days but the funding availability is also based on loan information/bank response, etc. What does it cover? Your mortgage and even an equity line/junior mortgage (if used for home improvement) that can be included in the original purchase price. The original purchase price is the baseline and of course documentation is required. For more details you can read this article, Officials Announce Homeowner Assistance Program Details which includes several helpful links to the application process, frequently asked questions, eligibility rules, etc. Mr Sikes did mention one item I found a critical piece of information for the decision process for your sale. The program provides a better rate of return if you sell your own home through a private sale than it does for a government purchase. You can find specific details from the program office when applying but if the government purchases your home it will pay 75% of the purchase price. If you sell your own home the government will help match 90% of the purchase price. A big shout out to DoDLive Bloggers Roundtable, Lt Cragg of the New Media Directorate of OSD Public Affairs and Mr Sikes for providing the discourse about this wonderful assistance to military families! Thank you. Click Play to listen to the conversation and questions. **Photo credit James Spellman, Jr at Army News. 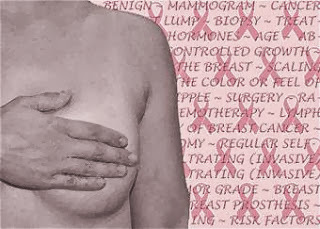 October is Breast Cancer Awareness Month and unfortunately I am an expert! Not a medical expert or even a survivor but a family member of women who have fought this disease and won and some who have not. My mom was the first encounter with this disease at a very young age (she was 35) and she bravely fought it off despite some medical misdiagnosis and treatment problems for seven years. I remember driving her home from the hospital after radiation treatments as an 18 year old with four younger siblings (we were 20,18, 15, 11 and 9 when she died). The ride for her was painful due to the side effects of the almost whole body radiation treatment with nausea and other awful side effects. My father was like a brave soldier surrounded and outnumbered who kept on fighting despite the odds. He had a full time job, cared for a sick spouse and a young family and continued to finish building the house that had been their dream. After seven years she passed away with much love and pain to be forgotten and God's promise for a pain free home in heaven. Her sister and my aunt followed her path shortly afterwards and then years later another sister with so many advances in medicine was a winner and survivor! A Minute Out of the Norm: Science! I have to admit I have an affinity for science! I remember as a child making 'mud pies' in the backyard. Armed with a big bucket, I'd add water... dirt... leaves... sand... whatever I could find... and thoroughly enjoying watching the change. 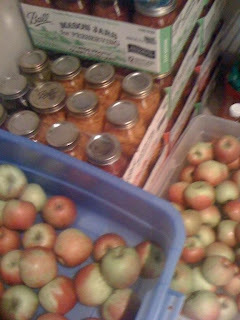 Add a little bit of this and a little bit of that and watch what takes form. Add enough dirt to the water and my mud-soup practically went from a liquid to a solid. I never thought of it as science but in hindsight ... it was watching matter change, and therefore in its own way science. Just the beginning of a lifetime love of watching science take shape. My preschool son came home today from school with a Take Home sheet... 'Will it float or will it sink?' I watched him light up as he said "MOM! Can we do this?!" How could I say "Not now, dear, I have too much to do." Nope! I stopped what I was doing and took the 5 minutes to gather objects ...a rock, a leaf, a birthday candle, a small plastic bowl, a plastic container lid, a marigold flower, a tomato, a crayon and a pencil. We made our hypothesis for each object. We dropped the items, one by one, into a large mixing bowl with water in it. I didn't need to go into the science of "Why" with him. He is four. But it is planting a seed. We set up our experiment, thought about what might happen and then did it. And best yet it was learning time with Mommy. What do you do at home that encourages day-to-day learning? Fill several-glasses each with different amounts of water. The kids love to play their new 'musical instrument' by tapping the glasses with a spoon. I just read about this one... it's next on our agenda! Brush a hard-boiled egg to see the importance of brushing your teeth.